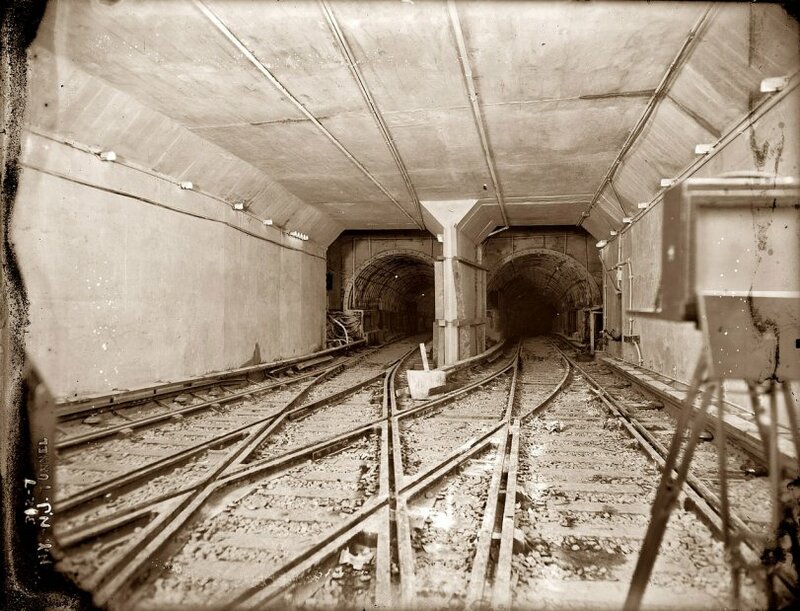 March 1943. 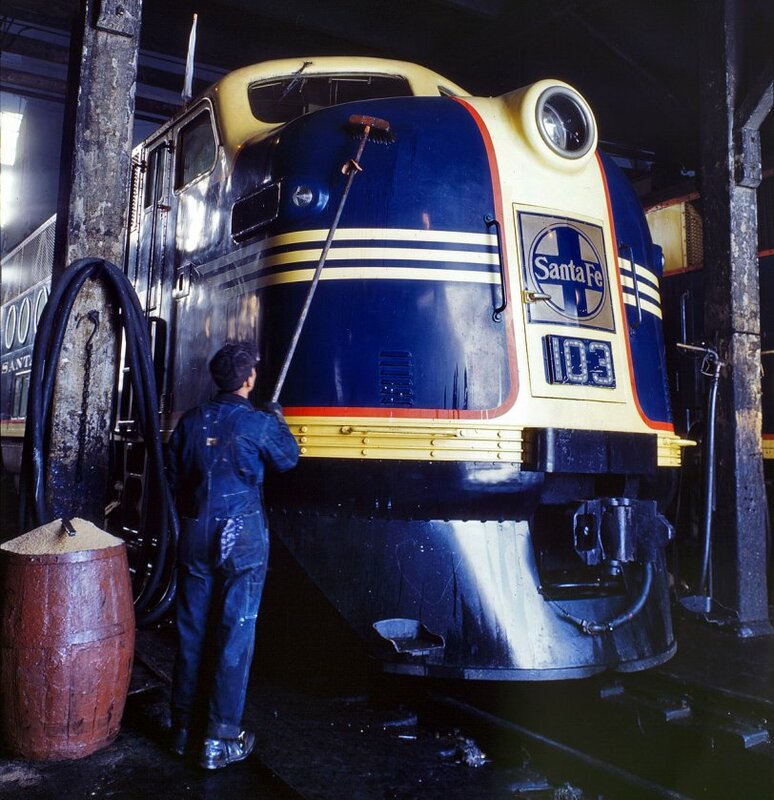 Washing one of the Santa Fe R.R. 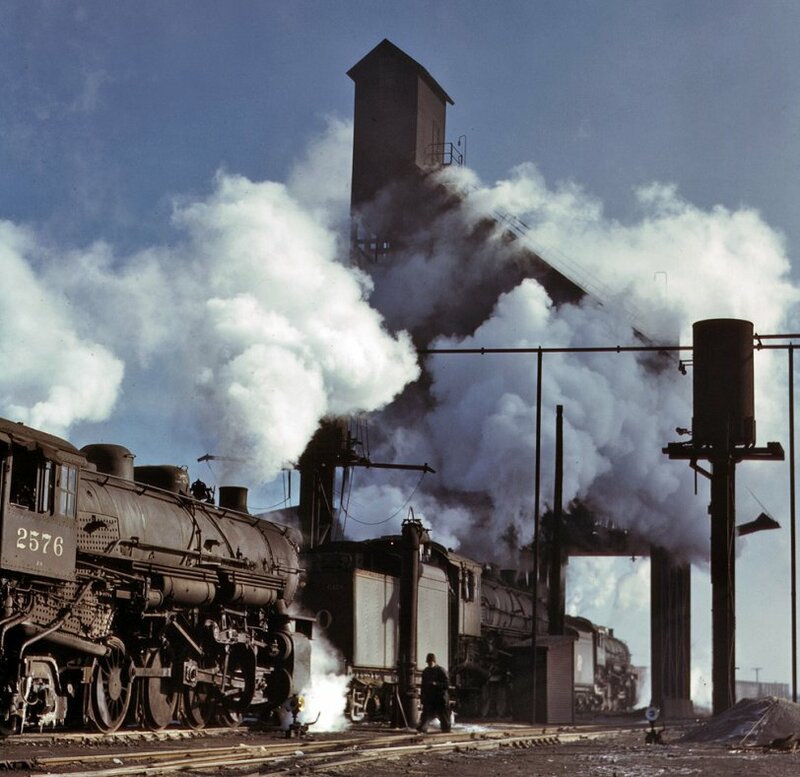 5,400-horsepower diesel freight locomotives in the roundhouse at Argentine, Kansas. View full size. 4x5 Kodachrome transparency by Jack Delano. March 1943. Yardmaster at Amarillo, Texas, railyard. View full size. 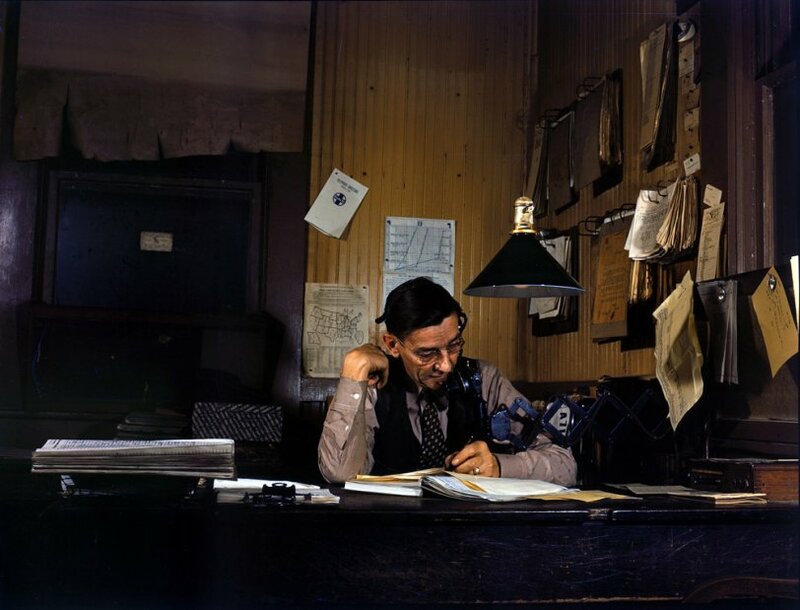 4x5 Kodachrome transparency by Jack Delano, Office of War Information. Chicago, April 1943. 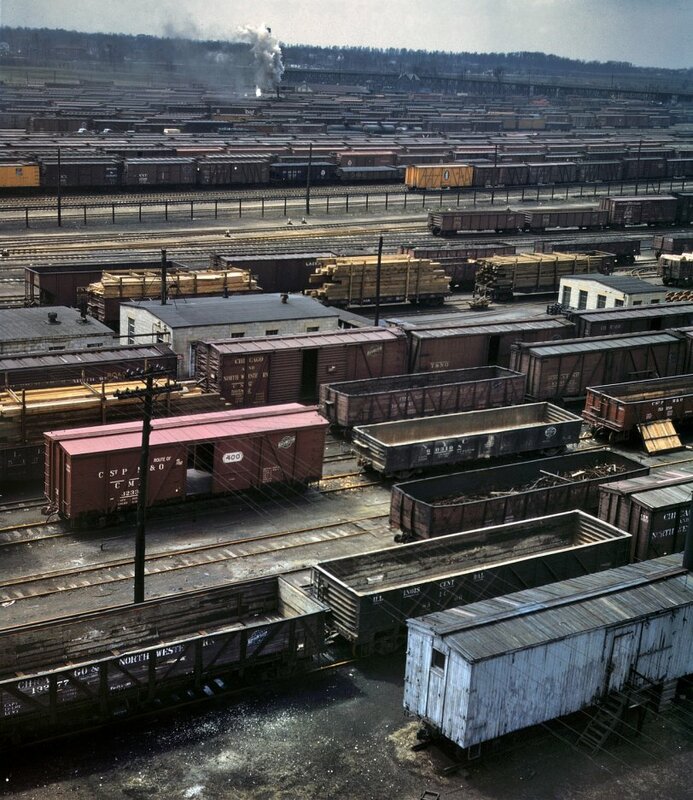 Proviso freight classification yard of the Chicago & North Western R.R. View full size. 4x5 Kodachrome transparency by Jack Delano. March 1943. Westbound Santa Fe freight on a siding at Ricardo, New Mexico, waiting for the eastbound train to pass. View full size. 4x5 Kodachrome transparency by Jack Delano. FSA/Office of War Information archive. Chicago & North Western railroad locomotive shops at Chicago. December 1942. View full size. 4x5 Kodachrome transparency by Jack Delano. 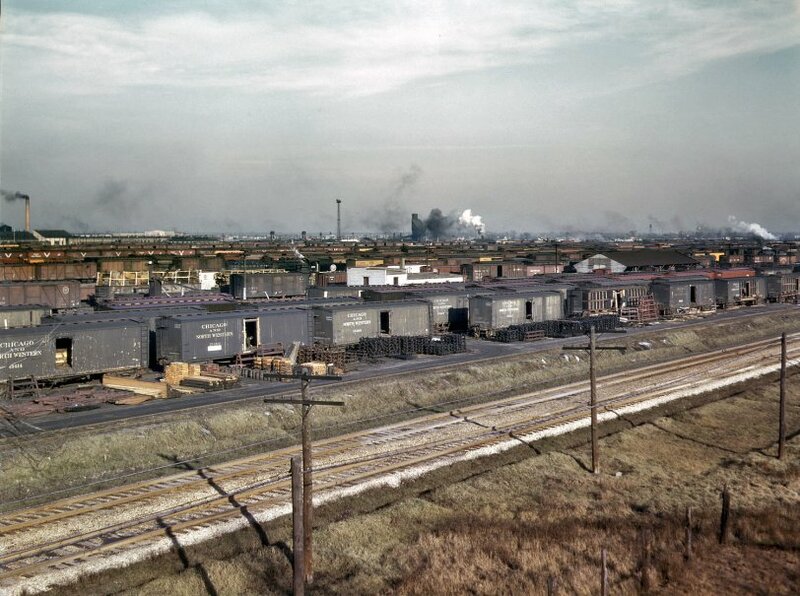 South Yards at the Chicago & North Western Proviso Yards. December 1942. View full size. 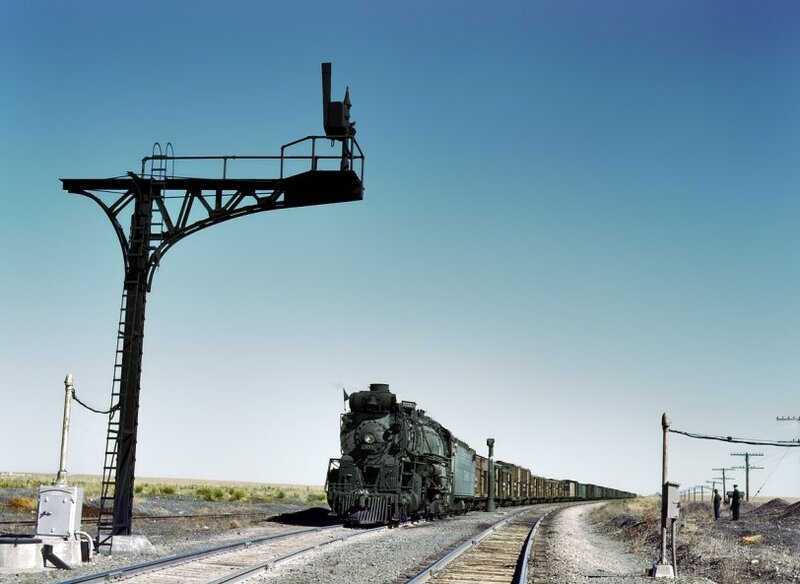 4x5 Kodachrome transparency by Jack Delano.